Did you know that the care you receive from your dentist in Rancho Bernardo is equally as important as your home oral hygiene habits to keep your smile healthy? Although it is often believed that you do not need to schedule an appointment until after a problem has developed, this could not be further from the truth. Instead, it is best to see your dentist every six months for a cleaning and checkup to prevent issues from developing in the first place. However, how do you know which dentist is right for you? Not all are the same. To make the best choice for your oral health, there are several things you can do to choose the perfect one. When choosing a dentist, you should not relay on Google search results. Instead, ask friends, neighbors, or even your doctor for recommendations to begin pointing you in the right direction. After you have compiled a list of preferred dentists in the area, you can begin to research each one to narrow down your selection. Over the years, your oral health needs are going to change. You do not want to be referred to different locations for specific treatments. As a result, it is best to choose a dentist who offers complete services to meet your needs through all stages of life. In addition to general dentistry, look for certain areas of specialty, such as periodontal therapy, dental implants, or sedation dentistry. To ensure that the dentist you are considering is qualified, look at their qualifications, training, and accreditations. In addition to receiving their dental degree, look for any areas of specialized or continued education. You can also check your local or state dental society’s website to ensure that they are listed as a qualified dentist with reputable dental organizations, such as the American Dental Association. When it comes to maintaining your dental appointments, you need the office hours to accommodate your schedule. Review their locations and office hours to ensure that they provide the flexibility you need to make visiting the dentist easy. Often, the cost of care can be a concern. To stay within your financial means, ensure that the dentist works with insurance companies while also offering payment options, like CareCredit. 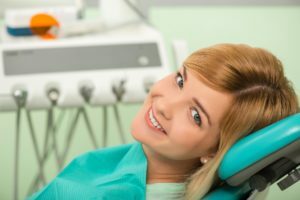 You have unique comfort levels and certain expectations when choosing a dentist. Before making your final decision, visit the location to look for cleanliness, friendliness, and other factors that will give you the peace of mind you need to feel comfortable with your choice. No matter if you are new to the area or it has been a while since your last appointment, you need a trusted and qualified dentist by your side. Take the time to make the right decision for your oral health. Dr. Nelson Y. Howard is supported by extensive qualifications and advanced training to provide superior dental services. If you need a new dentist, choose the trusted choice in Rancho Bernardo and San Marcos. Contact our office today to schedule your appointment.